Engine downspeeding calls for faster axle ratios, which require a stronger, more durable driveshaft to handle the added input torque. 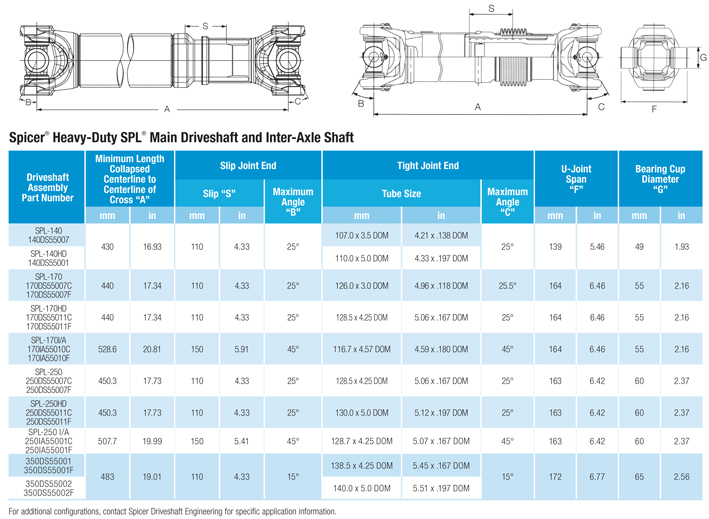 SPL® 350 main driveshaft and mating SPL® 250 inter-axle shaft are specifically designed to handle the greatest amount of torque for severe-duty vocational applications as well as low-emission, high-efficiency trucks. 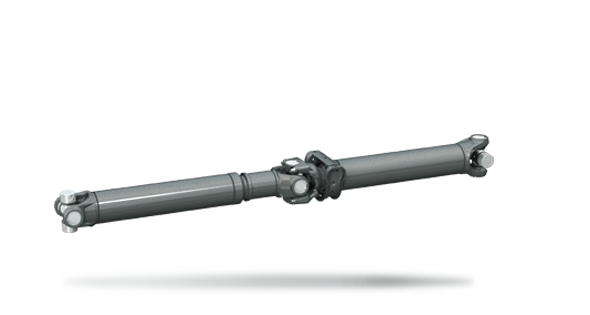 Available in standard service and extra heavy-duty versions, these additions to the Spicer® family of heavy-duty U-joints extend the expected life of the drivetrain and eliminate application restrictions on engine power in today’s Class 8 linehaul and vocational vehicles.